Hi friends! 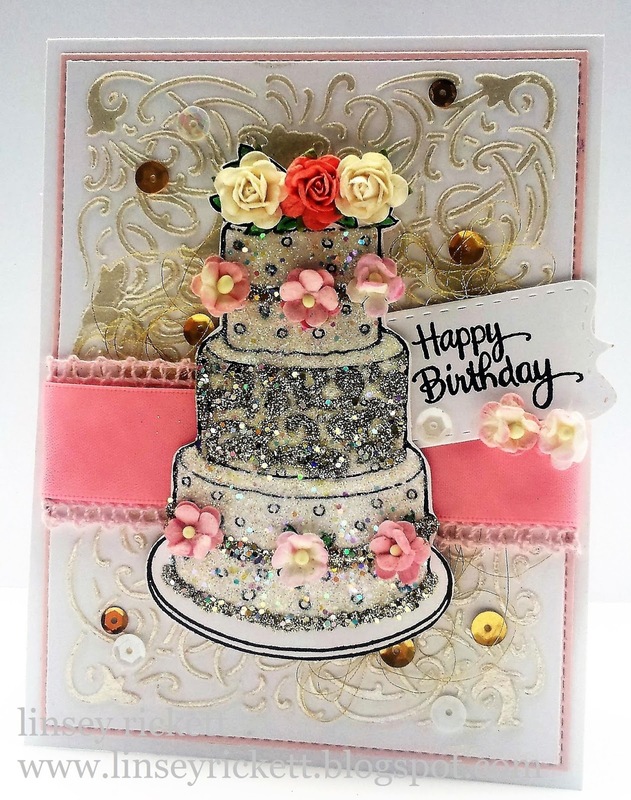 Linsey here today sharing a very fun and sparkly mixed media birthday card! It features a strip of 1.5" Pink Crochet Lace under a strip of dreamy Double-Face Satin in Pink with the birthday cake image centered over both. The cake was decorated with several Wild Orchid Craft Sweetheart Blossoms in Mixed Pink and White as well as Wild Orchid Crafts Open Roses in Deep Ivory and Coral and a whole lot of glitter. I hope you like it! And I hope you've been inspired today! Thank you so much for stopping by! Happy crafting!